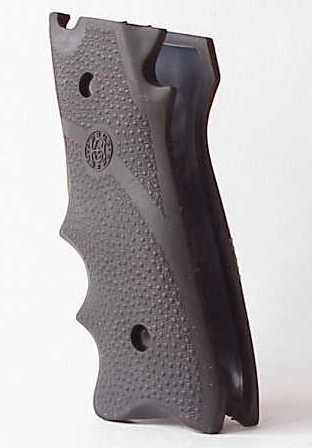 Soft rubber grips with finger grooves for a more secure grip on the Ruger Mark II pistol. Grip is ambidextrous. Available in either Black or OD Green color. These grips will NOT fit the 22/45 model with the synthetic frame. These grips fit my Mark lll great.I would buy these again.Much better than stock grips. I have two that fit perfectly on my MKIII.